Ooof. If I read one more apocalyptic think piece I’m going to lose it. Aside • Just Follow the Joy! 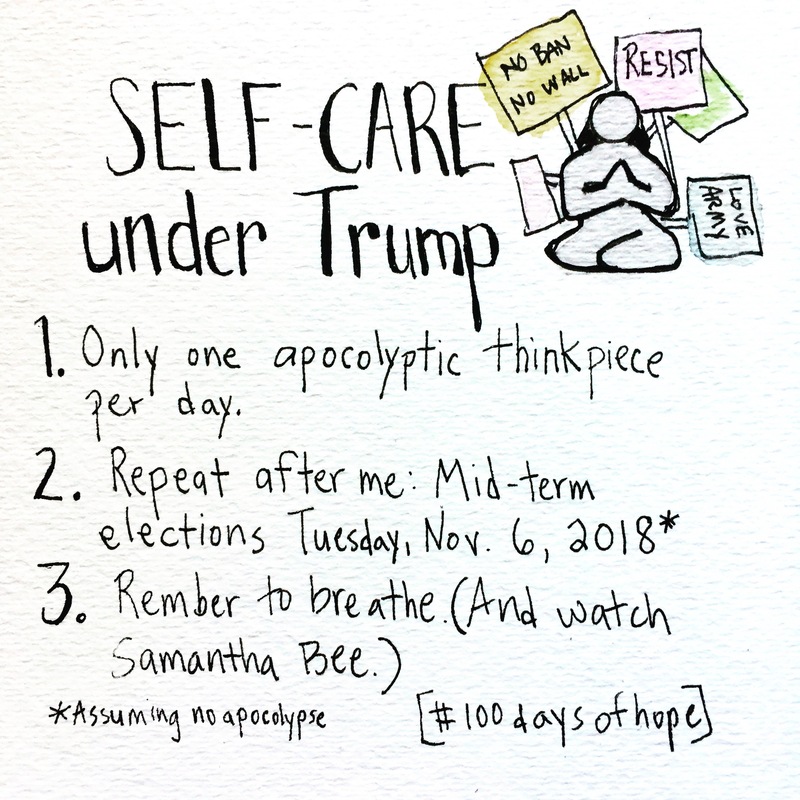 • This entry was posted in #100daysofhope and tagged hope, love, news, politics, resistance, self-care, trump. Bookmark the permalink. ← So let us take one another’s hand and push together. Oh thank you for this! Such a smart list. I’ve been overdosing and it’s not good. I hear you. I keep falling down the rabbit hole that is twitter and Facebook. It’s so easy to get sucked into the vortex!